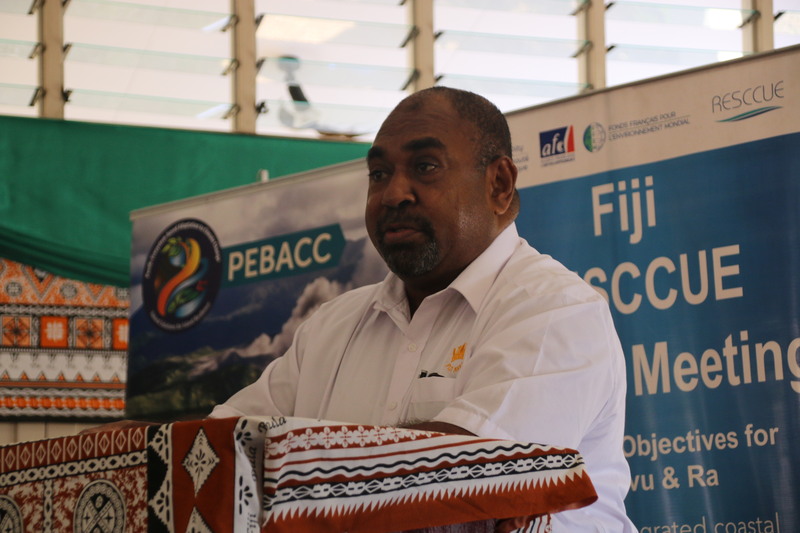 Assistant Minister for Rural and Maritime Development and National Disaster Management, Mr Joeli Cawaki addressing participants at the RESCCUE workshop. Community representatives from WWF-Pacific’s project sites in the province of Macuata and Ba were part of a first of its kind three day environmental planning and technical exchange workshop in Ra. The purpose of the workshop was to provide stakeholders engaged in conservation activities in the three provinces, an opportunity to share experiences on lessons learnt in strengthening responsible environmental management at provincial and village level. In addressing community representatives, the Assistant Minister for Rural and Maritime Development and National Disaster Management, Mr Joeli Cawaki thanked the province of Ra for launching their Integrated Coastal Management Plan (ICM), adding that there is a need to responsibly manage natural resources for future generations and that the workshop was an opportunity for all participants to strengthen teamwork between provincial planners and encourage new ideas to be explored. Mr Cawaki who is also the Chairman of the Natural Resource Committee said Parliament supports the protection of natural resources adding that the committee continues to advocate for the protection of natural resources through its community visitations. “Our population is increasing in addition to development and this will impact our natural resources, if we mismanage our resources now, we should ask ourselves what are we doing for our future generations,” he said. 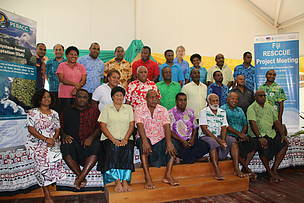 The three day learning exchange also provided participants to better understand the RESCCUE,Fiji (Restoration of Ecosystem Services and Adaptation to Climate Change) and SPREP PEBACC (Pacific Ecosystem based Adaptation to Climate Change) projects in Macuata and Ra. It also allowed them to understand the synergies between the Ra ICM plan and the Macuata NRMS (Natural Resource Management Strategy) . “I would like to see more of these workshops that encourage peer to peer exchanges amongst community representatives, where success and challenging stories are highlighted and we learn from each other,” Jerry Tuwai, the district representative from Ba said. The Conservation officer for the Macuata Provincial Office, Ms Makelesi Raciri highlighted that the informative exchange sessions with community representatives from Ra was important, especially learning about their Integrated Coastal Management Plan (ICM) and how they are able to work together, towards the responsible management and governance of their natural resources. 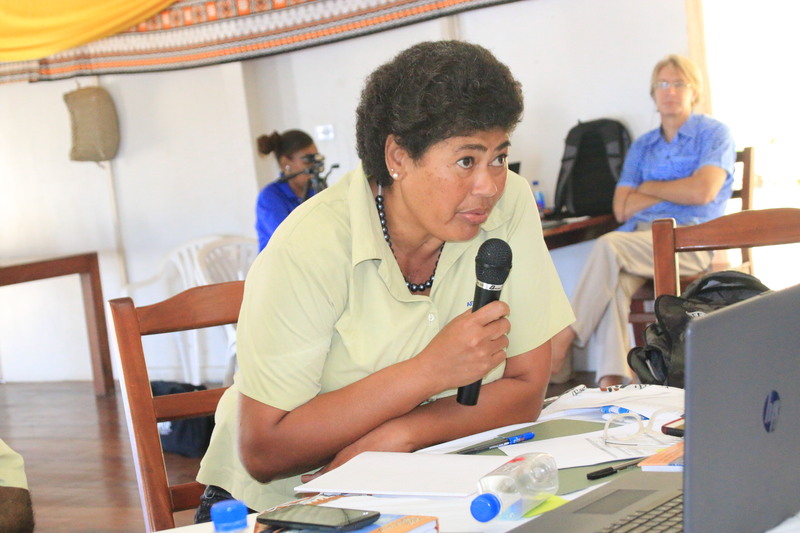 “The workshop is important since we learnt about the structure of the Integrated Coastal Management Plan for Ra,” she said. “For Macuata, I believe that there is room for improvement through the inclusion of focal ministries and partners,” she added. 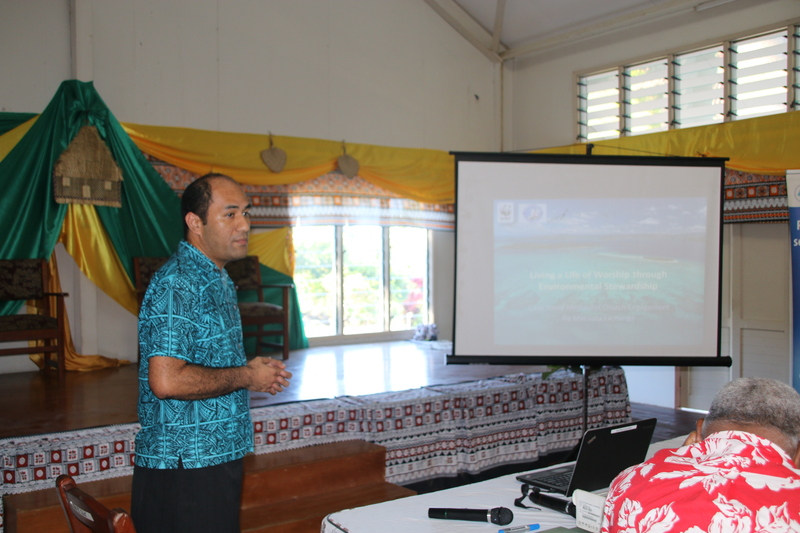 The workshop is supported by the Secretariat of the Pacific Regional Environment Programme (SPREP), the RESCCUE Fiji project of the Pacific Community which is coordinated by the Institute of Applied Science of the University of the South Pacific and WWF-Pacific. Group photo of community representatives from the provinces of Ra, Ba and Macuata with SPREP, RESCCUE & WWF-Pacific staff. Jerry Tuwai, District Representative of Nailaga, Ba discusses on the importance of conserving and protecting natural resources. WWF-Pacific Conservation Director Francis Areki talks about value adding partnerships between the Methodist Church and WWF. 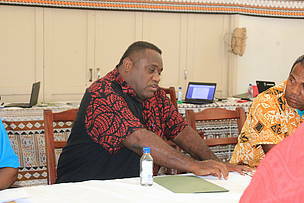 Assistant Roko Tui Labasa Mrs Liti Ratuvuki shares important lessons with participants.